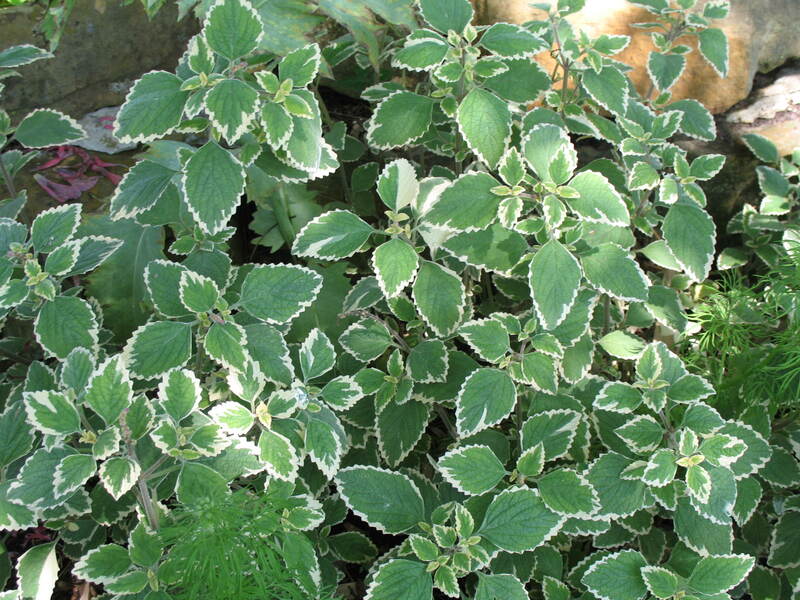 Comments: This plectranthus features handsome green and white variegated foliage on upright growing stems. In spring and summer the plant sends up spikes of beautiful blue flowers. Provide a moist, fertile, well drained soil for this perennial. In areas subject to freezing temperatures this plectranthus is grown as an annual from spring until the first frost.